It was 2014 when Netflix knocked at our doors to present their animated series "Bojack Horseman", the series told the story of a humanoid horse and took humorous/satirical take on depression, anxiety and life via edgy jokes. Initially, the show was a flop but gradually everyone understood its essence and now it is one of the most famous shows around the corner. 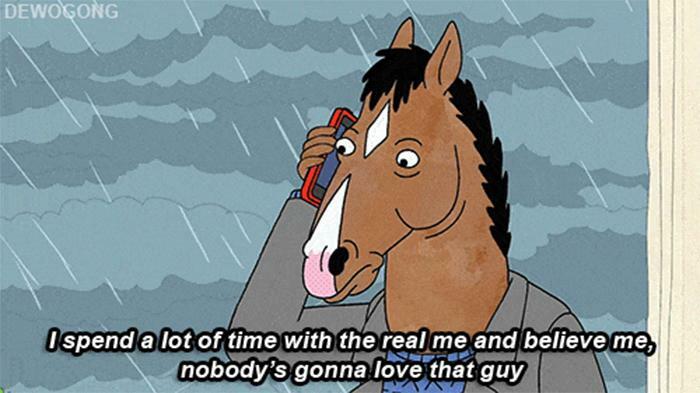 When Bojack spoke life's bitter truth! We all are living a dual life and if someone actually knows the real you, its no one but YOU. The side you do not show in front of others for you are afraid that they might corner you after seeing that. When Bojack blurred the lines of our escape plans! Today, we have taken our TV screens as an escape plan for our life's despair. 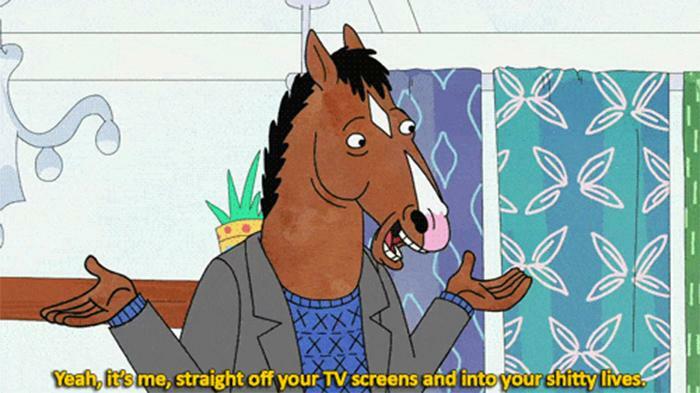 If we are sad, we just sit in front of a TV set with a laid-back attitude and try to forget all the happenings of life, which indeed is making us weaker and Bojack pointed at our soft nerve. 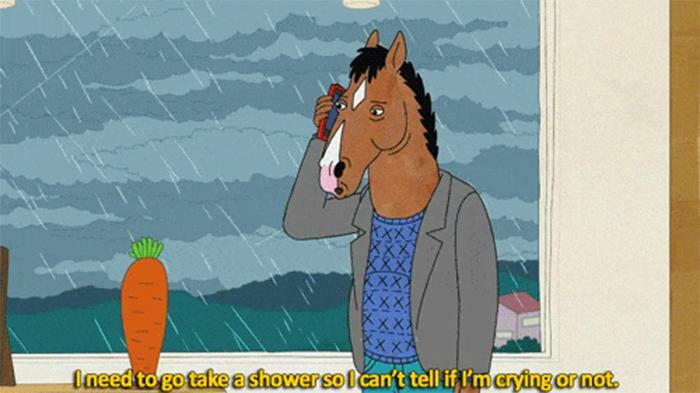 When Bojack made us realise the importance of SHOWER! There are people who tend to behave very rough in front of others and shedding a drop or two is a sign of weakness for them. Bojack bashed this pseudo masculinity with sheer perfection. And, this my friend, was a pure gem! 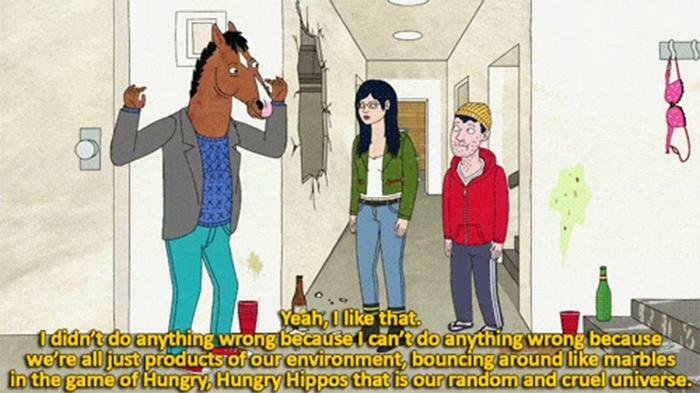 Bojack made us realise that anything that happens in life should not affect your movement. You cannot control things so you should not linger on something you cannot control rather you should just move on because life is cruel and you will have to face it, anyway! 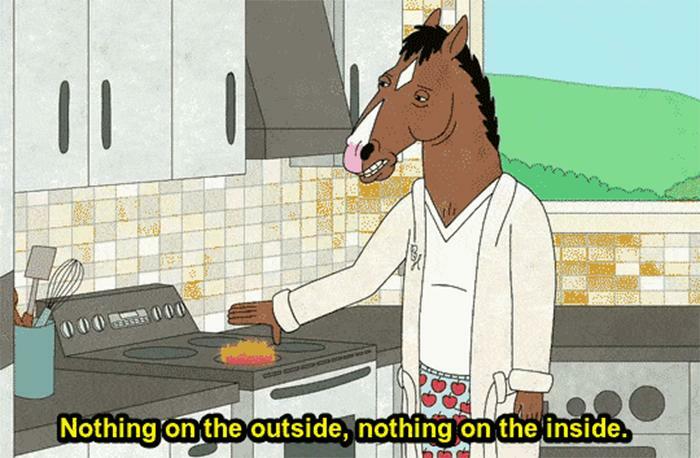 When Bojack subtly defined life without making it look obvious and we were thrown in a well of pondering. 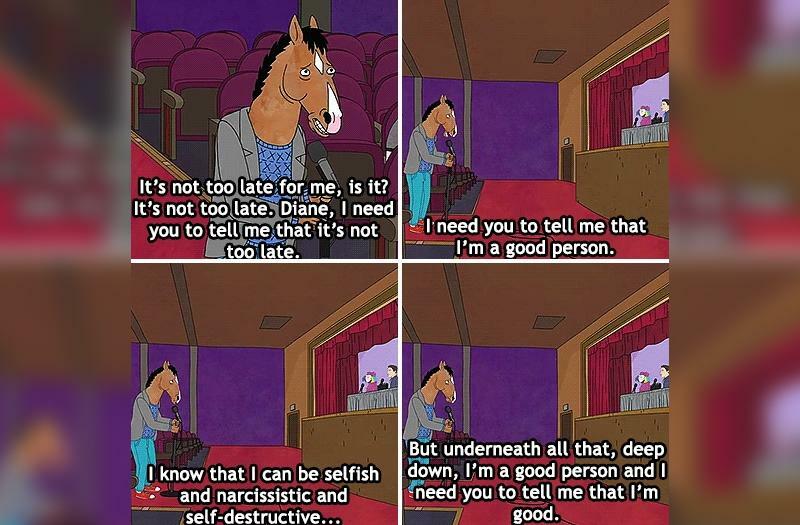 When Bojack was bluntly honest! No matter how bad you think you are, there will always be something good in you. All you have to do is search for that one person who can help you find goodness in you. 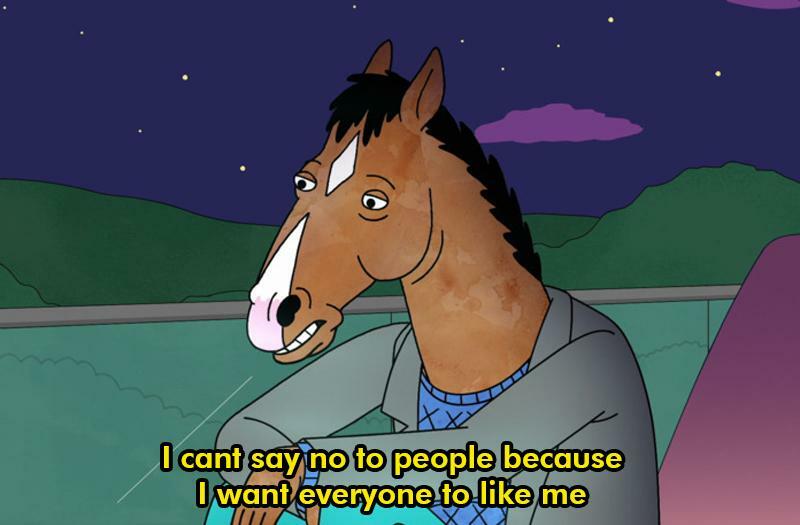 Bojack hit it right on our insecurities, he pointed out that we want attention from everyone, we want to be in everyone's good books and amidst this we sometimes, lose ourselves. So, you thought, only Bojack was satirical? 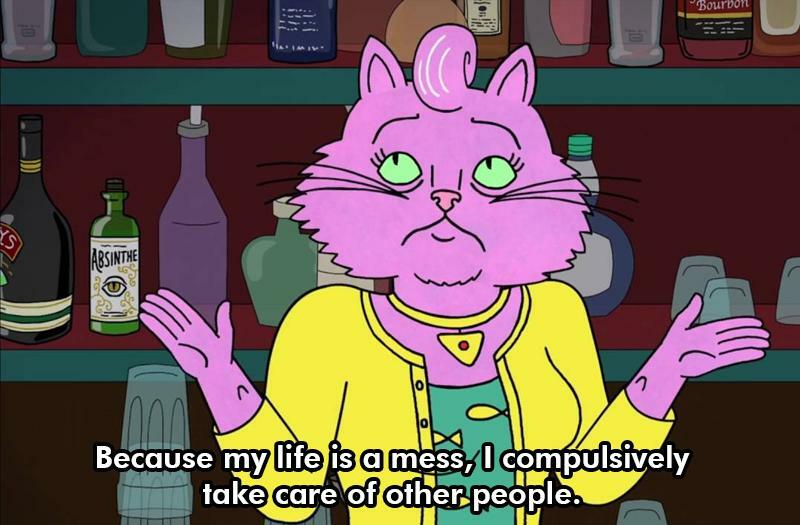 Well, Princess Carolyn was in the same league, here she taught us that people tend to seek others when in despair. They care for others when they cannot even care for themselves just in a hope that they could gather a shoulder to cry on.